8 Facts you might not know about Cucumbers. ~ CK Jacob: Nigerian Fiction And Lifestyle Blog. 1. Cucumbers come in many sizes, shapes, textures, and colors, including white, yellow, and even orange. 2. Two common kinds of cucumbers grown in the U.S. include slicing and pickling. Slicing cucumbers are usually large with a thick skin, while pickling cucumbers are smaller with a thin skin. 3. A cucumber is more than 95% water. 4. Pickles are cucumbers that have been soaked in a brining solution made of salt, vinegar, and water. 5. 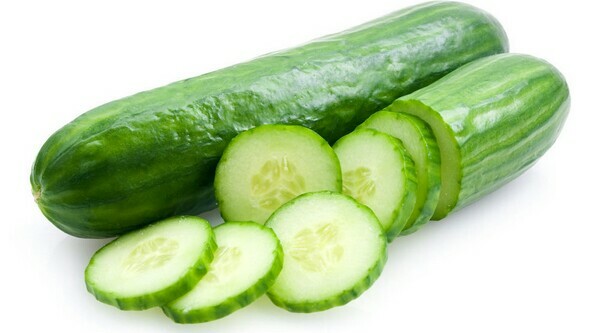 A half-cup of sliced cucumbers has 8 calories and more than 10% of the recommended daily intake of vitamin K.
6. Cucumber slices over the eyes may help reduce puffiness, thanks to the fruit’s water content and caffeic acid. 7. The biggest cucumber, grown in southern China, was 67 inches long and weighed 154 pounds. 8. Sea cucumbers are not related to the produce variety. They are just named after its oblong shape. I love seeing my niece eat cucumber but funny enough I don't know how to eat it. I love eating cucumber and groundnut.